There is no such thing as Italian cuisine- but rather regional Italian cuisine. In Italy, there are 21 regions of Italy and varies from city to city, even! 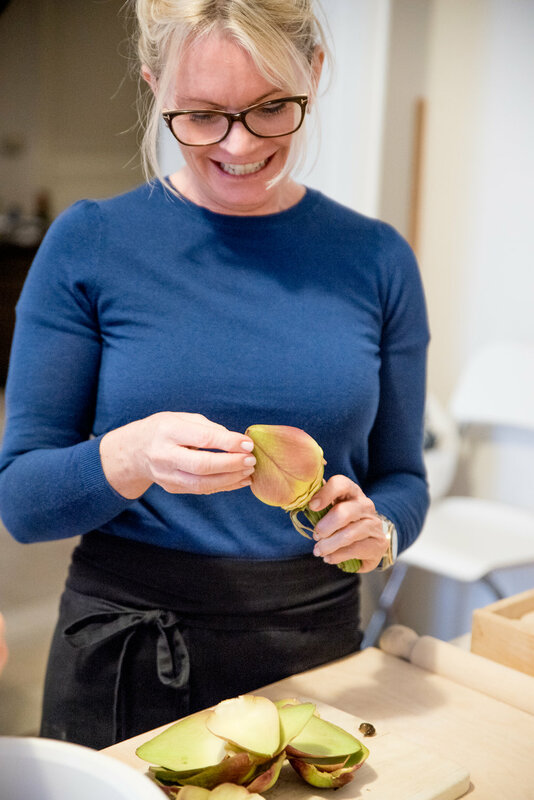 This lesson offers a full-course, hands-on overview of Florentine and Tuscan cuisine in an exclusive culinary studio setting as our groups are small (6 or less) in order to provide a true cultural experience with local mamma homecooks and chefs. You'll learn to make traditional Tuscan appetizers like fried sage leaves or zucchini flowers, fried coccoli (savory fried dough) with prosciutto & fresh cheese, handmade pasta making (tortelli (ravioli), tagliatelle, etc), seasonal primi (first courses) like fresh tagliatelle in artichoke sauce, tomato sauces, polpette (meatballs) historical peppered beef stews cooked in wine (peposo), roast meats (pork loin arista) and local desserts like almond biscotti (cantuccini) and seasonal fruit crostata. 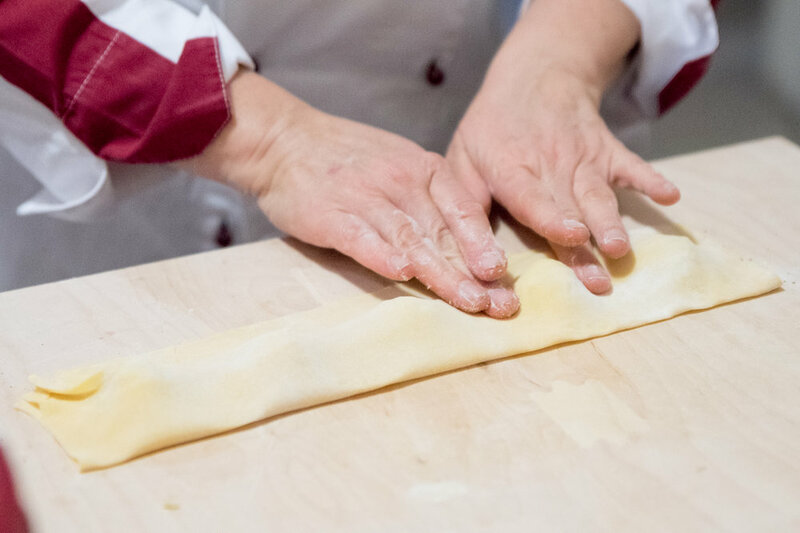 This cooking class in Florence is complete with fresh pasta making. Depending on the season, you'll make various vegetable-based sauces and meat mains with the opportunity to learn about specialties outside of Florence with Italian desserts such as panna cotta or tiramisu. Learn how to make tomato sauces- from scratch! Discover Florence's meat legacy- learn historical main dishes! Start time: Morning (9am w/ market walk & shop) or Afternoon (4:30/5pm start w/o market) Days: Monday-Sunday (Sunday a.m. available only at private lesson rates- contact us for rates) Duration: 4/5hours, including sit-down meal with wine Inclusions: *Market walk & shop (only for morning lessons), full-course meal instruction, 100% hands-on, all food/ingredients, personalized lesson with chef, water, coffee and wine. Group Cost: $160USD (equating €125eu) per adult/$110 per child under 12 Private Cost: Please Inquire. Cost depends on group size and request. Not included: Travel insurance, extra hours, additional hours and trip cancellation insurance. *Market walk not available for evening cooking classes. NOTE ON CAPACITY: We generally max out at 4-6 to keep the experience hands-on with lots of attention from the culinary instructor. If you are a larger group, we can accommodate you in a larger venue with 2+ chefs, please inquire for rates and availability. Our group experience booking blocks out 48 hours before each day, so e-mail us for last minute requests as we might have spots open. You will be in fine hands with an excellent culinary expert who loves teaching people the beauty of Tuscan cuisine to students from around the world. 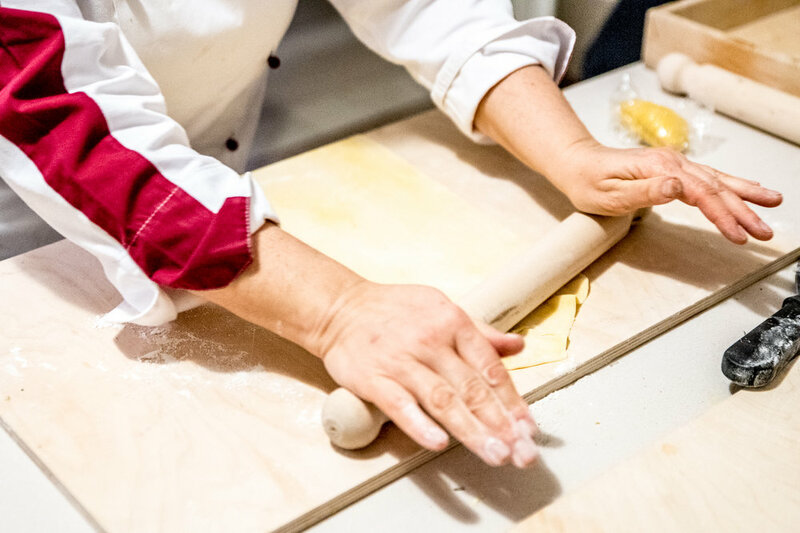 With this classic cooking class in Florence, you'll start off as a student and leave as a dear friend with priceless memories and knowledge of Tuscan cuisine.